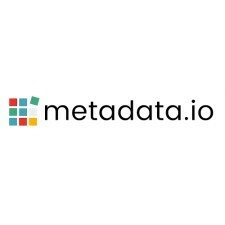 San Francisco, CA, January 30, 2018	(Newswire.com) - Metadata (http://www.metadata.io), the patented platform for closed-loop account based marketing, announced it has joined the Marketo® Accelerate ecosystem, the MarTech industry's first partner accelerator. The Metadata platform integrates into the Marketo Engagement PlatformTM to enable marketers to create and deliver personalized experiences to their customers across all channels throughout the buyer's journey. "Metadata is excited to be partnering with Marketo, the world leader in engagement marketing,” said Gil Allouche, Founder and CEO at Metadata.io. “Our smart integration enables Marketo clients to access the largest B2B prospect database of segmentation and multivariate advertising capabilities, allowing them to execute true closed-loop account-based marketing programs at scale." "The Marketo Accelerate program provides emerging companies with a tailored program to grow their business with Marketo," said Shai Alfandary, vice president, global head of ISVs and LaunchPoint® ecosystem, Marketo. “The Metadata platform’s unique AI operator greatly expands campaign execution capabilities available to marketing teams to generate pipeline, making them a great fit for the Accelerate program." "Metadata is excited to be partnering with Marketo, the world leader in engagement marketing. Our smart integration enables Marketo clients to access the largest B2B prospect database of segmentation and multivariate advertising capabilities, allowing them to execute true closed-loop account-based marketing programs at scale." Announced in 2017, Marketo Accelerate is a part of Marketo's robust, best-in-class partner ecosystem, LaunchPoint. The program provides partners with full access to the Marketo Engagement Platform, sales enablement activities, co-marketing activities, and more to drive growth for their businesses. To learn more about Marketo Accelerate, please click here. The Metadata platform is powering account based marketing campaigns at leading B2B technology firms including Nutanix, Cisco, Mulesoft, Tipalti, Infoblox and many others. Since 2015, Metadata’s mission is to free B2B marketing teams from manual marketing ops work, employing an artificial intelligence (AI) operator that uses automated, multivariate experimentation to provide a predictable and scalable flow of leads and accelerate pipeline growth. Metadata is a next generation account-based targeting platform, completely automated and operated by Artificial Intelligence. The Metadata A.I. operator learns your ideal customer profiles based on historical CRM data, then builds audiences of your target customers and personas and deploys paid media campaigns automatically to deliver a predictable, qualified inbound lead flow. Metadata clients include Nutanix, Amdocs, Intel, Mulesoft, Infoblox and many others. For more information about Metadata, visit www.metadata.io.